100% ORGANIC COCONUT OIL, COLD PRESSED, UNREFINED. ORGANIC COCONUT OIL contains medium chain triglycerides (MCT). ORGANIC COCONUT OIL is suitable to be consumed directly and can be used for frying, roasting and cooking thanks to its high smoke point. STORAGE: Keep this packaging tightly closed in a dry place, at the temperature of 15–25°C. Keep out of the reach of children. Protect from excessive exposure to sunlight. Note! In a temperature of over 25°C the oil turns into liquid. It has no effect on its nutritional value. 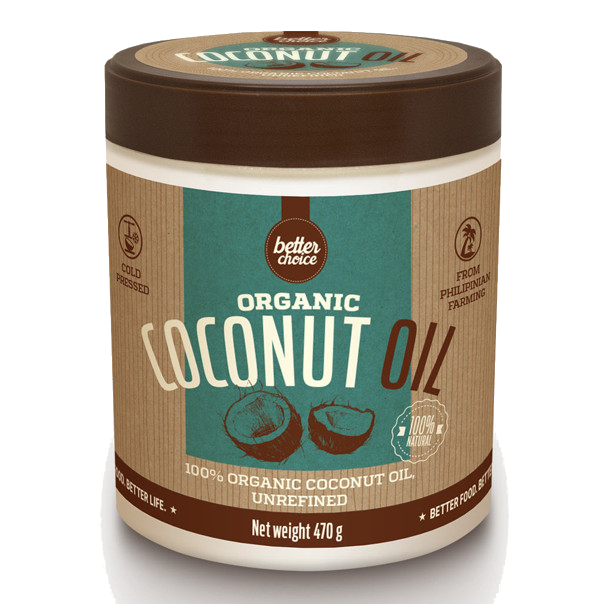 INGREDIENTS: organic unrefined coconut oil (100%).